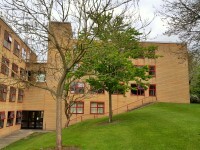 The name of the car park is Guildford Cathedral Car Park. 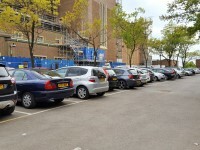 The Cathedral car park allows 2 hours free parking only. 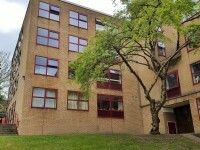 This information is for the entrance located between Rich and Speirs Court. 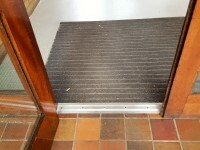 The width of the door opening is 133cm (4ft 4in). 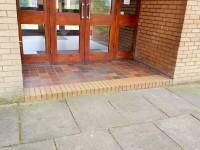 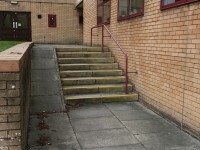 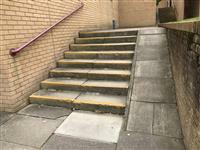 The step(s) is / are located to the right of the entrance, leading up from Speirs Court. 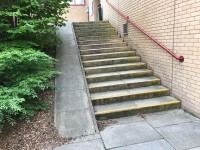 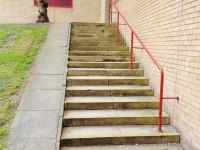 The first 7 steps have a central handrail, and then there is a single step down with no handrail. 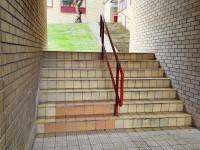 The next 16 steps have a handrail on the right hand side going up, and then there is a single step with no handrail. 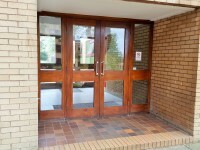 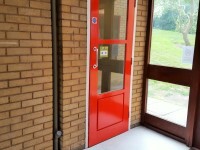 There is also a single width door, 77cm wide that opens towards you (pull), on the opposite side of the entrance foyer, leading out to the path around the southern perimeter of the campus. 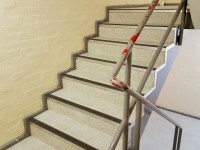 There is also an entrance to level one of Speirs from the foyer. 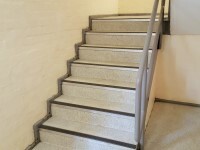 The floors which are accessible by stairs are G, Flats 1 and 2, 1, 2 and 3. 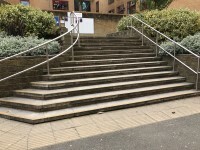 The stairs are located to the left as you enter the main entrance. 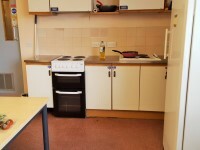 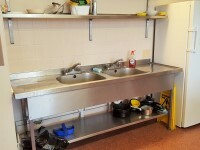 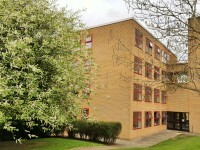 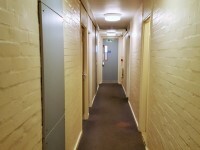 The area(s)/service(s) on the floors which are not accessible is/are all student accommodation. 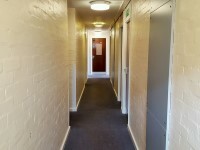 There are 7 steps up leading from the ground floor to Flats 1 and 2.